Site last updated on Wednesday 24th April 2019. Our schedule for early 2020 is now available. Featuring our Peru Ski Explorer plus a couple of expeditions to climb high peaks in northern Chile. We'll have details available for trips later in 2020 by about late-May or early June. Peru Ski Explorer. This itinerary visits a country and mountain range we know very well to explore some of the highest mountains on skis. We'll keep the itinerary fairly flexible to make the best use of snow conditions for ski-mountaineering, but plan to ski one high 5800m+ peak after an initial phase of skiing several 5000-5500m peaks. Pictured above high altitude skiing in typical conditions in the Andes. 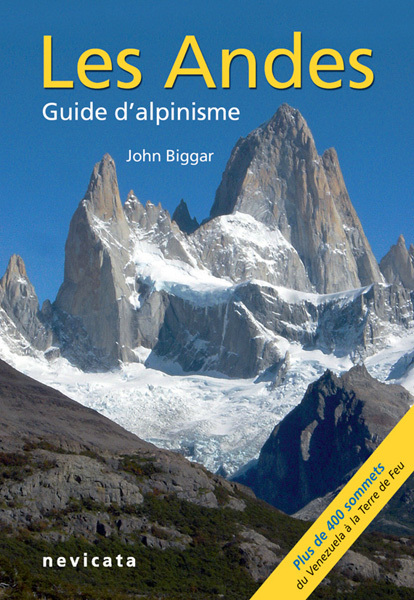 Information about the climbing and trekking guidebooks to the Andes which John Biggar has authored. These have been translated into French, Spanish, Czech & Polish. You can purchase the English & Spanish editions on this website. Every year ANDES schedule a small number of unique and interesting expeditions to the Andes and Latin America. Many of these are First Ascents and other exploratory expeditions. The majority of these are led by John Biggar in person, with one or two selected trips being led or co-led by other qualified and experienced leaders. 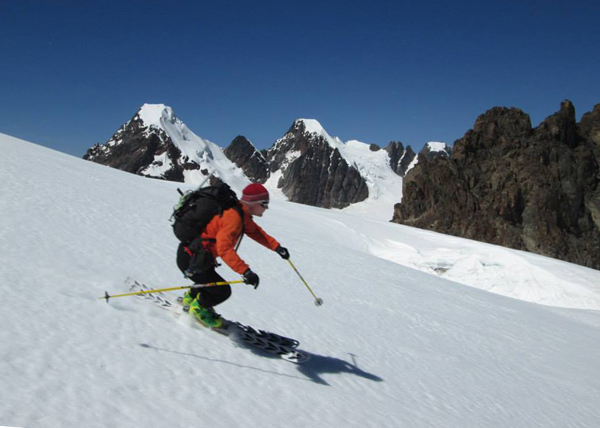 In addition to the scheduled expeditions and courses that ANDES organise, we can organise instructional courses, expeditions and straightforward ski-touring trips in many diverse parts of the world. 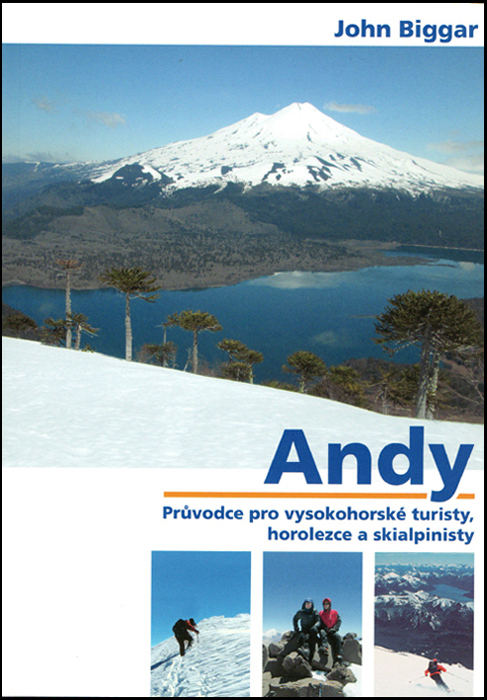 John Biggar and ANDES can also instruct winter climbing, rock climbing and ski mountaineering in all parts of Scotland. In the past we've run winter skills weekends, week long winter courses and guided ascents of classic rock climbs for individuals, Mountain Rescue Teams and clubs. Why book with ANDES and John Biggar? Past Successes. Many of the mountaineering expeditions to the Andes that we organise offer those critical extra 2 or 3 days and low guide:client ratios necessary for success on a big mountain. We're Good. We are highly recommended by past customers. Have a look at the Customer Satisfaction page for further details. Not surprisingly we have very high repeat booking rates and referral booking rates and run a lot of private itineraries. That's why we have hardly advertised for more than ten years. We're Specialists. 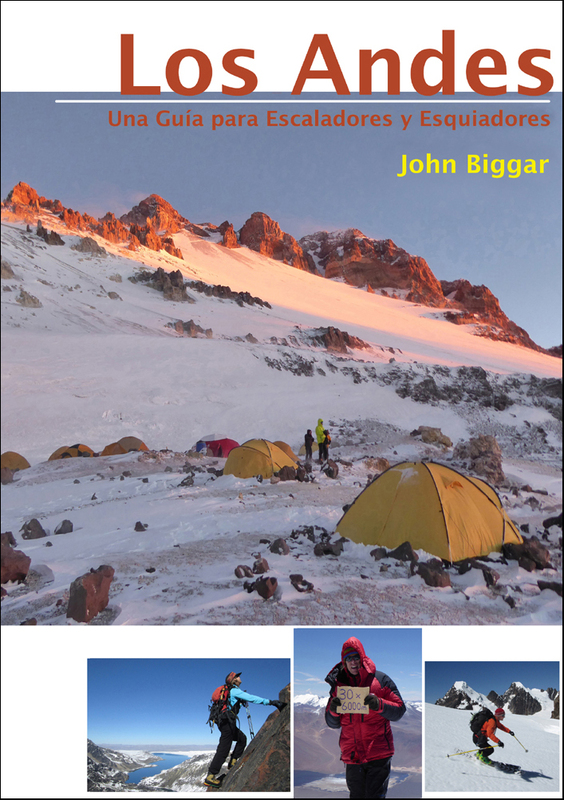 John Biggar personally has MORE experience of operating mountaineering, skiing and trekking expeditions to South America than anyone else in the world. He has more than twenty-five years of experience climbing and skiing in the Andes and has climbed over 350 of the 5000m+ summits and skiied on over 100 summits in Patagonia. We get lots of Repeat Business. We have many satisfied customers, including some who have completed more than ten expeditions with us. Thom from Scotland just recently climbed his 25th major 6000m+ peak in the Andes. All these were climbed with John as a guide and organiser..... although we should point out that Thom's put a lot of effort in himself! Small Groups. Our maximum group size on all regular courses and expeditions is four. Smaller groups are more flexible and much less intrusive in remote mountain areas. Have a look at the 'Our Style' page for further details. 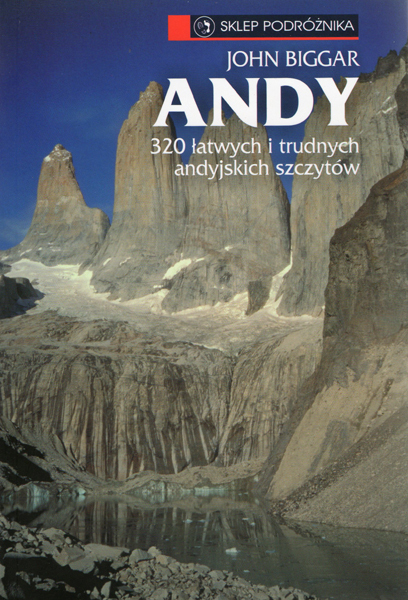 Andes Guidebooks Details of the guidebooks we publish - 'The Andes - A Guide for Climbers' and its E-book, French, Spanish and Polish editions. 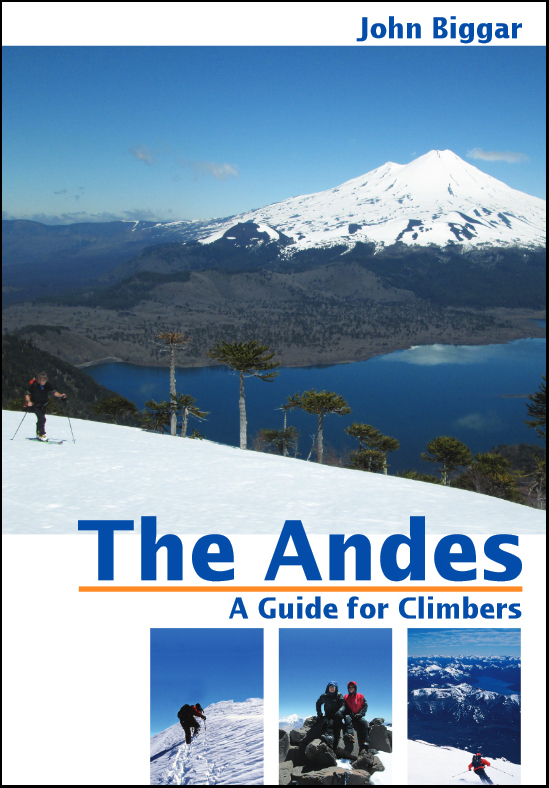 The 4th English edition of "The Andes - A Guide for Climbers" was published in March 2015 and the E-book version of this 4th edition in November 2015. Spanish and French editions of this guidebook were published in 2007 and 2009, a Polish edition in 2012 and a Czech edition is due in 2018. Guidebook, Photo and Map Library Information about the extensive guidebook, photo and map library I maintain at the office in Castle Douglas. or by phone 01556 503929 from the UK, + 44 1556 503929 from elsewhere in the world. The office is located in the middle of the town of Castle Douglas, which lies in Galloway in southern Scotland about half-way between the towns of Kirkcudbright and Dumfries. If you experience any problems with this website (even if it's just a missing picture or missing link) or with the e-mail address please let us know using the above numbers or the alternate email address andes.scotland@gmail.com . This website, including all photos (unless otherwise credited), maps, lists, diagrams and text are © 1997-2019 John Biggar t/a Andes. Unauthorised reproduction is prohibited by copyright law. If you wish to use any material from this site please contact us for permission first; permission will usually be granted for non-commercial use providing you give full credit and link directly back to this website.